The latest in political fashion has made its way to Northwestern: posters, hats and laptop stickers reading “Bernie 2016.” As one of the Democratic candidates for president, Bernie Sanders moved from relative national obscurity to prominence in key primary swing states such as New Hampshire and Iowa, but party leadership has seemed to unwaveringly maintain Hillary Clinton’s legitimacy as the party’s nominee. Sanders has not received the same primetime media attention (at least not until recently), but he is polling particularly well among college students and the 18- to 24-year-old demographic due to policies aimed at eliminating student debt, raising the minimum wage and taking on the political elite on Wall Street, among other socially liberal views on abortion, LGBT rights and criminal justice reform. But Sanders boasts little foreign policy experience and seems to lack Clinton’s political prowess for compromise and implementation of the grand “political revolution” about which he preaches. Thus, young liberals like myself are left with a difficult choice: between the aspirational and the practical, and the heart and the head, so to speak. I am a firm believer that while our youth and naivete remain, we should vote with our hearts — for the candidates we truly believe can and will make our country a better place — and not with our heads — for those we think can win. Many students on campus who don the Bernie hat or sticker, young or old, explain the excitement they feel about Sanders in a way that had been missing from their political lives before; they believe Sanders can make a real change to the nature of politics itself. Particularly telling is the condescension of Sanders’ campaign by media, Democratic leadership and even my parents. Their dismissal of his candidacy serves to alienate the very supporters who he is polling best with. Sanders’ popularity draws on a growing dissatisfaction among those who feel their government is not serving their interests. The current political climate — characterized by a glut of money in politics after the 2010 Citizens United v. FEC decision, growing income inequality and student debt, and constant stories of police brutality targeting unarmed black teens with few indictments — seems to ache for the kind of “political revolution” Sanders speaks of. Dismissing Sanders’ call for a “political revolution” denies the reality that a large swath of Americans seeks the kinds of fundamental changes to democracy he preaches. That this dismissal comes largely from an older generation alienates young people from a political process with which they already feel disenchanted. Yet, Sanders’ problem is the same one his supporters face. He succinctly articulates the fundamental issues facing our country and calls for radical change. But like many of us young people, he is particularly good at identifying problems and less so at describing the answers. We get really good at defining what it is we don’t like but have a harder time articulating solutions, let alone detailing the possibilities for compromise with a gridlocked legislature. These are all perfectly legitimate concerns for Sanders’ candidacy, but they are often articulated in an overly dismissive tone featuring more eye rolling than necessary. Condescension of Sanders undermines both his legitimate dissatisfaction with the political process and his supporters who are often undervalued in politics today: young people, people of color and those using social media. These groups aren’t the largest political donors and do not turn out to vote as consistently as old white men. This political apathy is a symptom of the problem, however, not the thing to be condescended itself. It is hardly appealing to vote in a gridlocked, partisan-polarized, super-PAC-driven and wildly unequal system. But in this election, let’s not play into the societal assumptions about young people. Pundits and parents alike expect us to discuss problems and not productivity and to resort to the apathy that keeps politics unaccountable. Although older generations should respect our political excitement, we, as young people, should continue our political engagement and excitement beyond the Sanders campaign. Bernie Sanders has captured both the disillusionment and the hope of young people, which are vital for this election — and not just for Democrats — if we truly want to make our electorate more active and our government more accountable. Jessica Schwalb is a Weinberg freshman. She can be contacted at jessicaschwalb2019@u.northwestern.edu. 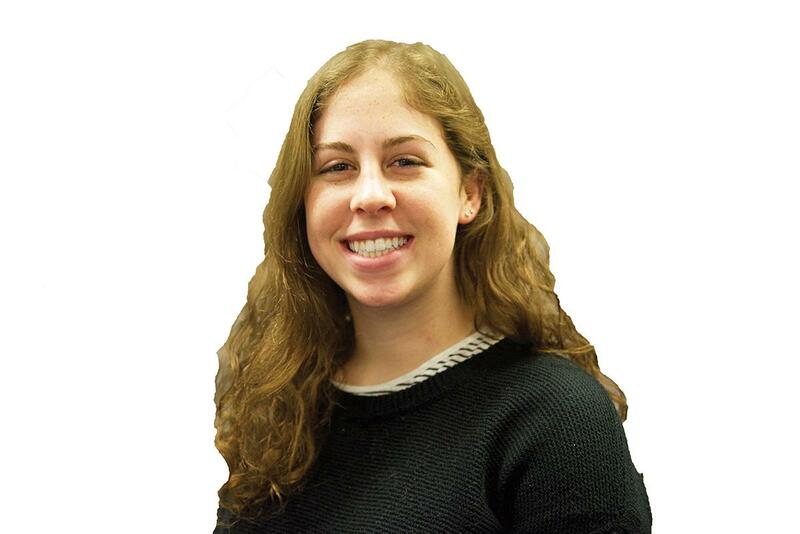 If you would like to respond publicly to this column, send a Letter to the Editor to opinion@dailynorthwestern.com.